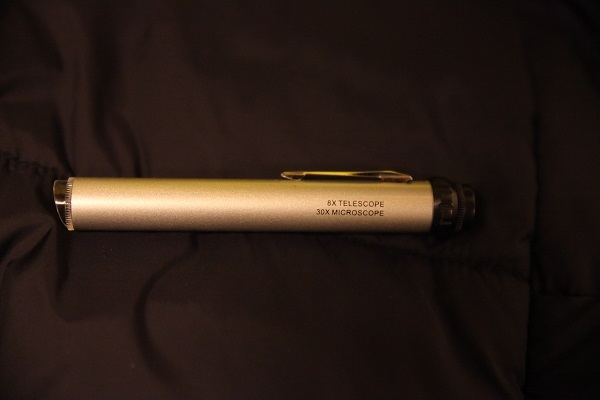 This handy gadget cost only 6$ and offers you a spyglass and microscope that you can take anywhere. It’s a 30x microscope and if you extend it it turns into a 8x telescope. With the price in mind I’m quite happy with it. In microscope mode It actually provides a good clear closeup. However as a telescope It’s only good enough for the moon, and you won’t get a very clear picture. It works better as a spyglass.